This content is in flux, check back periodically until this note is removed. Files are posted on Pinshape. 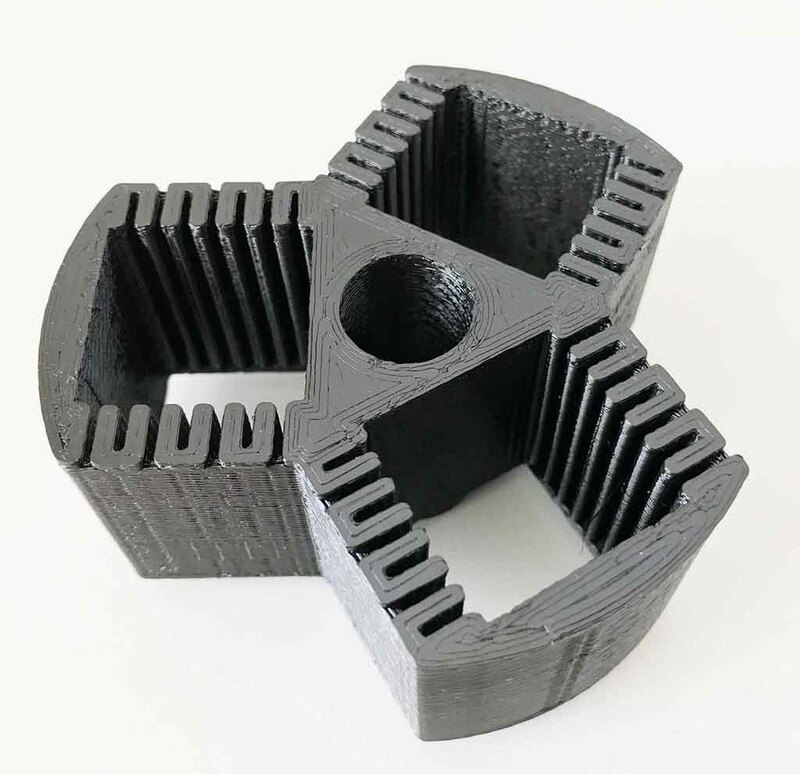 is the new 3D printed camera from Clint O’Connor that uses 35mm film. 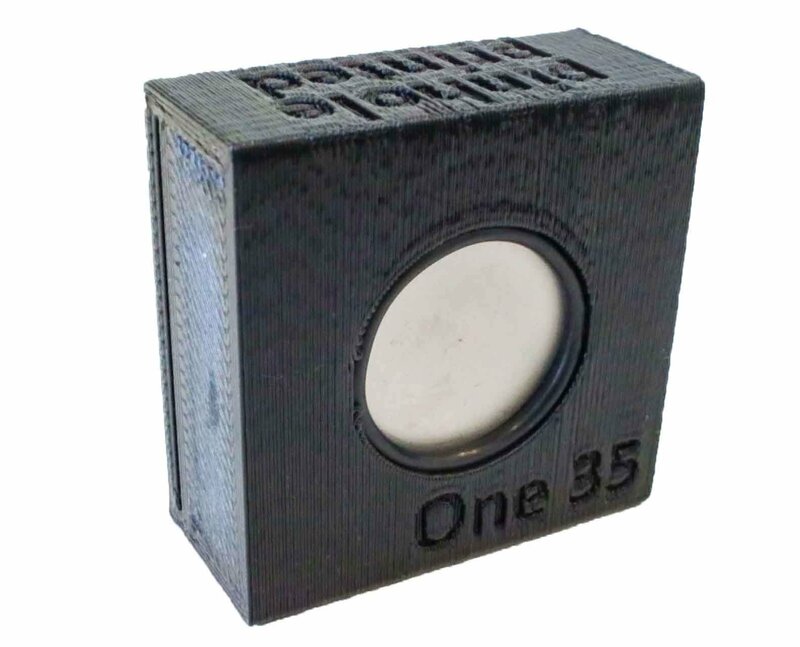 Printed in one solid monolithic block, the One 35 is a complete one-shot camera for 35mm film. Add a pinhole and you’re good to shoot. Loading this camera could not be easier. The film passes completely through the One 35, making it simple to load all your cameras in one pass. Following loading, you can cut the film flush to the camera bodies for single exposures. Alternatively, you can leave them in a string for sequential or simultaneous exposure. A changing bag works well if you do not have the convenience of a darkroom at hand. 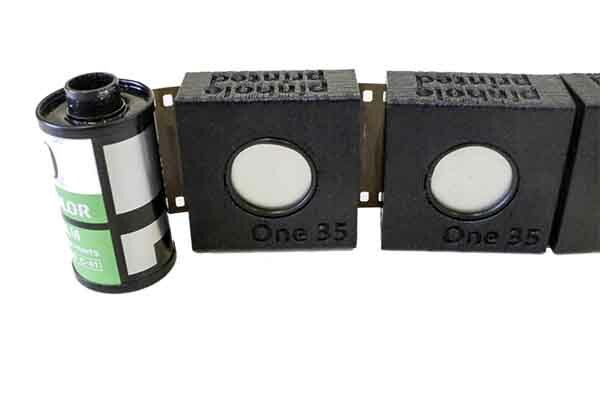 The One 35 uses standard 35mm film in 24 or 36 exposure rolls or bulk 35mm film. Bulk film makes sense if you will be shooting a lot of film or loading long strips of cameras. You’ll need a changing bag to load and unload the cameras. Processing is likely to be a home lab affair. Because of automated 35mm equipment, most processing labs will probably not accept cut film. That means you’ll need to develop your own. It’s not hard, and it’s quite fun to see your own images appearing. You’ll need a developing tank and chemicals, but which depends on how you use the cameras. Strips of film – best in a 35mm plastic reel and developing tank, like Paterson or Arista. Wire reels are not recommended because the 35mm film gets kinked and does not load well. Bits of film – best in a stainless steel 120 tank. You can print your own rack (photo below) to hold the bits of film for processing. This rack is notched alternately left and right to help you guide the film bits into the correct slots by feel in darkness. This rack may fit in a plastic developing tank but I have not tried it yet. Film can be developed in a number of different chemicals but the process is the same. Develop the film and then fix it to make it permanent. You can even do this in one step with a monobath developer, or use coffee as a developer (google caffenol). 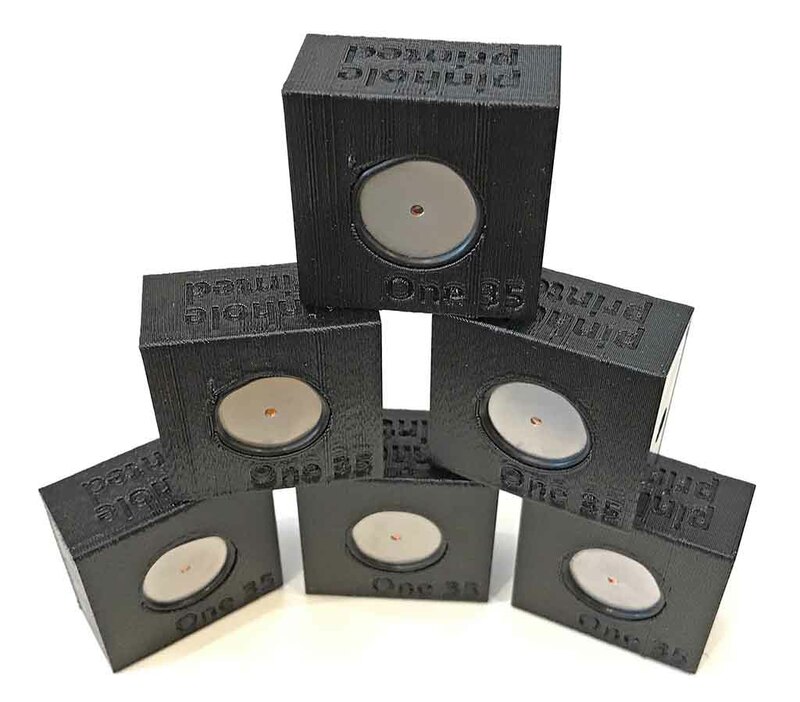 The One 35 is 40mm x 40mm x 20mm and takes less than an hour to print. As a result of the low cost, you can buy or print many of these cameras. Load them all, take them out of the changing bag as needed and return them after exposure. At the end of the day, develop your bag of cameras. Print the developing rack as well to hold the strips of film for processing.